Fretting at 2 a.m. seems to be a prevalent, if unwanted, affliction that robs millions of their sleep each night. If you lie awake worrying about your credit card debt, a consolidation loan can address the problem directly, something beyond the scope of a sleeping pill. A credit card consolidation loan is a specific type of personal loan that allows you to pay off your existing credit card balances and replace them with a fixed-interest, fixed-payment loan. Through consolidation, you can stop juggling multiple monthly payment dates and minimum payment amounts for your credit cards. You may even lower your total monthly cash outflow. Our experts have reviewed the 2019 crop of credit card consolidation loans and selected the three best. Read on to see which one suits you best. CashUSA.com arranges consolidation loans of up to $10,000 at interest rates determined by your credit type, from excellent to poor. It takes only a few minutes to apply for the loan online, and the application process is free. The site uses industry standard security measures, such as encryption, to keep your data safe. CashUSA.com will connect you to one of its approved lenders who will work out the specific terms of the loan. Generally, loan durations between 3 and 72 months are available, although the actual terms depend on your qualifications. To apply for a loan via CashUSA.com, you must be a U.S. citizen or permanent resident of at least 18 years of age with a steady monthly income of at least $1,000 after taxes. You’ll be asked to supply your personal information including your work and home phone numbers, your email address, and your checking account number. Once CashUSA.com connects you with a lender, expect to fill out that lender’s loan application form as well. If the lender approves your loan, you’ll receive a formal loan agreement specifying the exact APR, fees, monthly payments, and loan duration. You’re under no obligation to accept the offer. If you do accept the offer, the net loan proceeds will be electronically deposited into your checking account in as little as one business day. Loan repayment is equally convenient — the lender will electronically withdraw the payment amount from your checking account on the due date each month. Many lenders on the CashUSA.com network offer extensions if you need more time to make a payment without damaging your credit rating. BadCreditLoans.com can arrange consolidation loans for balances as small as $500, all the way up to $5,000, with loan durations of 3 to 36 months. As a loan facilitator, BadCreditLoans.com gives you access to its network of approved lenders, saving you time and effort by matching you to a lender who will determine the interest rate and other terms on any loan it offers you. BadCreditLoans.com prescreens your loan request by having you fill out a short, encrypted application form. You’ll supply basic information, including your phone numbers, email address, and your checking account number. To request a loan, you must be a U.S. citizen, age 18 or older, and have a regular income. BadCreditLoans.com uses your information to perform a soft credit check that won’t impact your credit score. If you pass the check, BadCreditLoans.com will hook you up with one of its lenders to complete the lender’s loan application form, which might be pre-populated with the information you’ve already entered. If the lender approves your loan, you’ll receive a detailed loan agreement with all the particulars, including fees (if any), loan amount, interest rate, payment amount, and the number of payments. Loan proceeds will be deposited into your checking account within one business day. BadCreditLoans.com is committed to consumer education about loans. This is manifested by the many free, expert articles available on its website that explain everything you need to know about loans, including loan timing, responsible use of loan proceeds, and budgeting methods to help you quickly pay off your loan. PersonalLoans.com is an excellent choice when you need to consolidate large loan balances. It will arrange loans of up to $35,000, although it also works with balances as low as $500. Though the terms of the loans arranged by PersonalLoans.com are determined by the lenders on its approved network, many lenders offer rates between 5.99% and 35.99%, with loan durations from 90 days to 72 months. You don’t pay any fees to use PersonalLoans.com. Simply fill out its short, secure loan request form, and its proprietary technology will locate a potential lender for you. The loan request form collects your name and date of birth, your address, employment information, loan amount, credit type (excellent through poor), the purpose of the loan, email address, and other data items. PersonalLoans.com requires you to be a U.S. citizen or permanent resident at least 18 years of age with a valid Social Security number and have a regular source of income and a bank account. While PersonalLoans.com accepts loan requests from persons with poor credit, it requires that you don’t have any accounts with current or recent negative information of a significant nature. If you meet the initial requirements, PersonalLoans.com will line up a lender who will finish the loan application process. If approved, you can expect to receive your funds in about a day once you sign the loan agreement — it lays out the APR, loan amount, monthly payment amount, and loan duration. Funds will be electronically deposited into your checking account, and your monthly payments will be automatically drawn from the same account. Is Credit Card Consolidation a Good Idea? Credit card consolidation can relieve financial stress by reducing the number and amount of your monthly credit card payments and possibly lowering your interest rate. Credit card consolidation may be able to lower your interest rates, helping you pay off your debts faster. There are two basic ways to consolidate your credit cards without posting collateral — through a personal consolidation loan and through balance transfers. 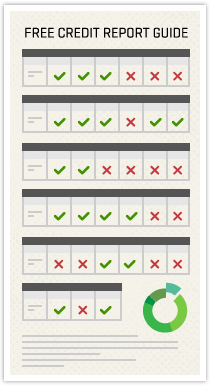 In both, you replace multiple monthly payments with a single one that is easier to schedule and remember. Both methods can be promising ideas if they encourage you to improve your habits for using credit. The process starts by obtaining a personal loan, using the proceeds to pay off your credit card balances, and then repaying the loan with fixed monthly payments for the loan duration. Personal loans typically provide you with a lower interest rate and a smaller monthly payment compared to credit card interest rates. You can use the money you save to pay your other bills, make needed purchases or add to your savings. Consider keeping all but one of your credit cards in the drawer while repaying the loan, and only use that one card for purchases that you’ll pay off in full on the next payment due date. In this way, your total debt will decline, and your credit rating will rise. That’s a good idea. Many credit cards offer special, low interest rates on balance transfers made by new cardholders during the introductory period (usually between 6 and 15 months). To consolidate your existing credit card balances, open a new credit card account with a good introductory balance transfer offer and then move all your other credit card balances to the new card. You may have to pay a one-time fee for each transfer, but your interest rate during the introductory period will be close or equal to 0%. The best balance transfer offers are available to those with good to excellent credit, though some do exist for fair to average credit scores. Do not close your other credit card accounts, as this will explode your credit utilization ratio and your credit score will crater. Simply put the other credit cards away and use only the new card. Once again, try not to increase your existing loan balance. This is a good strategy if you use it diligently to pay down your debt and thereafter keep it under control. How Will Credit Card Consolidation Affect My Credit Score? A consolidation loan will likely hurt your credit score in the short run and raise it later, but only if you stick to a disciplined approach of paying your bills on time. New credit application: While loan facilitators usually perform only soft credit inquiries, lenders do a hard inquiry of your credit. That is, they check your credit scores and reports from one or more of the major credit bureaus. Hard credit checks lower your credit score, but only by a few points. New credit account: Lenders perceive a new loan or credit account as an additional risk and therefore lower your credit score. Reduced average age of credit: A new account lowers the average age of your credit accounts, which is another negative according to the credit bureaus. Reduced credit utilization ratio (CUR): The CUR measures the credit you use versus your total available credit. The consolidation loan increases both, but the credit used by your credit cards will be eliminated because you will pay your cards off. In other words, your available credit increases while your total used credit remains the same. Thus, your CUR falls, which means you have greater credit reserves to help you pay your bills. Credit bureaus reward a lower CUR with a higher credit score. Better payment history: Over time, your payment history will improve if you repay your loans on time. A consolidation loan lets you do this, and you should see a slow but steady increase in your credit score because of it. If you can use a consolidation loan to permanently improve your credit habits, your credit score should rise to reflect your increased creditworthiness. What are the Advantages & Disadvantages of Consolidation? 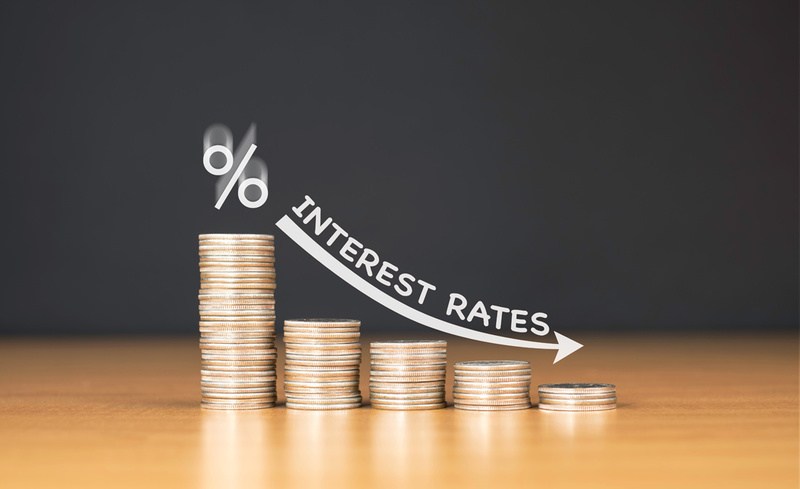 Lower interest rates: Typically, personal loans charge far lower interest rates than credit cards do. The loan interest rate is fixed, whereas credit card rates are variable, so a consolidation loan won’t surprise you with a rate hike. On the other hand, credit card interest rates sometimes go down, but this seems to be a relatively rare occurrence. One monthly payment: If you have two or more credit cards, you juggle various payment due dates and minimum payment amounts. A consolidation loan replaces these with just one monthly payment, and the payment amount is always the same, helping you better plan your monthly cash flow. Longer repayment term: The duration of a consolidation loan is potentially much longer than that of a credit card, meaning your monthly payments can be lower than the credit card minimum payments. Requires discipline: A consolidation loan only makes sense if you stop accumulating balances on your credit cards until you repay the loan. You should only use your credit cards to the extent that you can repay them in full on the next billing date. Letting balances accumulate will put you in an even worse situation than before, as you will also be paying off your consolidation loan. If you can’t muster the discipline to control your credit card use, a consolidation loan is not your best remedy. More total interest paid: Because consolidation loans have longer repayment terms, they may cost you more total interest than would your credit cards. How Do I Qualify for a Personal Consolidation Loan? Lenders underwrite loans (i.e., evaluate default risk) before granting them. Underwriters look at many factors when assessing whether to approve a loan and, if so, how much interest to charge. Some requirements, such as citizenship, are straightforward. Others require judgment because of conflicting or indefinite information. Citizenship: You must be a U.S. citizen or permanent resident with a Social Security number. Contact information: Lenders collect your phone numbers and email address. You also must have a checking account in your name. Income: You must have a regular source of income. Some lenders set a minimum after-tax amount. 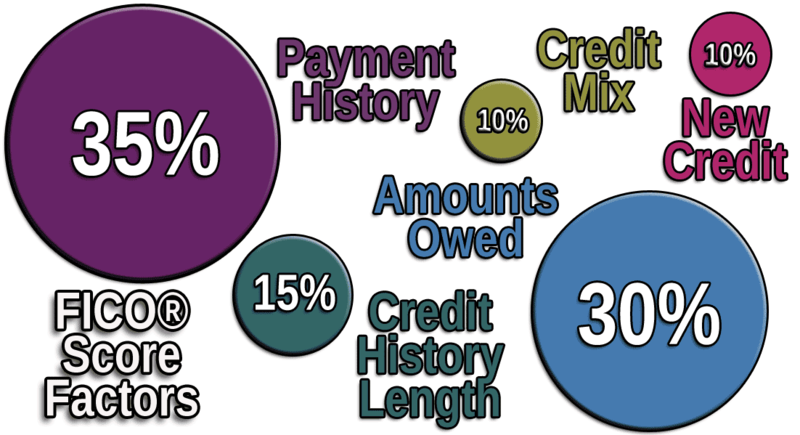 Credit score: Many lenders offer loans to individuals with any type of credit, from excellent to poor. Nonetheless, a higher credit score gives you better access to a loan as well as a lower interest rate. Credit history: While poor credit may not be disqualifying, per se, some lenders look at an applicant’s credit history for disqualifying events. These may include accounts that are more than 60 days late, recent or active bankruptcies, a pattern of delinquent payments, insufficient income to cover your debts, or having any accounts that were recently charged off. If your credit score is low, consolidating your credit card balances is a good long-run strategy for raising it. If you are turned down for a consolidation loan because of credit problems, you can begin to repair your credit rating without waiting to consolidate your debt — it starts with paying your debt on time. If you can do this month after month, your credit score should increase, and you’ll have a better chance of qualifying for a consolidation loan. What Happens to My Credit Cards After Consolidating? It’s a mistake to assume that a consolidation loan forces you to give up your credit cards. In fact, the loan doesn’t require you to close any accounts or even to stop using your credit cards. The only action required is to use the loan proceeds to eliminate the balances on your existing cards. Afterward, you can continue to use your credit cards just as before. However, that may be a disastrous course of action that lands you in the same credit pit. The safest and most responsible way to use your credit cards while repaying your consolidation loan is to hide them somewhere safe. You don’t want to use them, but you don’t want to close the accounts either. Let’s explain those last two statements. You don’t want to use your credit cards if doing so will cause you to carry a balance past the next payment date. That’s because you will then be facing the double pressure of paying for both your consolidation loan and your new credit card balance(s) in the same month. The loan hasn’t improved your use of credit, but, rather, has allowed you to further dig yourself into debt. 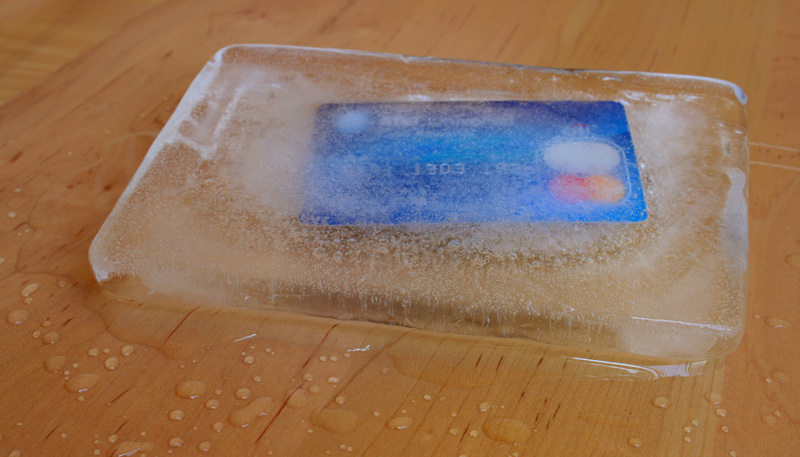 One suggestion is to freeze your credit cards in a block of ice, so it would take extra effort to thaw the credit card for use again, rather than simply grabbing it from wherever you hid it. On the other hand, closing your existing credit card accounts would be a mistake, since as explained above, this will reduce the average age of your credit accounts. A higher average age is good for your credit score, so you wouldn’t want to reduce it by closing your credit card accounts. The safest bet is to minimize your use of credit while you repay your consolidation loan. They will be waiting for you once you’re out of debt. You can then slowly close the accounts for cards you no longer want, especially if this helps you resist the temptation to run up your account balances. Consolidating your credit card debt is a reasonable course of action when you find yourself drowning in debt. It simplifies your monthly repayments, lowers your interest rate, and reduces your monthly payment amount. The positive impact offered by a consolidation loan can be the foundation for a fresh financial start. To make it work, you’ll need a plan that allows you to live within your means. Everyone has unique circumstances, so it’s up to you to decide whether loan consolidation is the best answer for you. Do your research and adopt the strategy that most closely aligns with your lifestyle, and allows for a restful night’s sleep. Eric Bank has been covering business and financial topics since 1985, specializing in taking complex subject matters and explaining them in simple terms for consumer audiences. Eric's writing regularly appears on Credible.com, eHow, WiseBread, The Nest, Get.com, Zacks, Chron, and dozens of other outlets. A former software engineer, Eric holds an M.B.A. from New York University and an M.S. in finance from DePaul University.